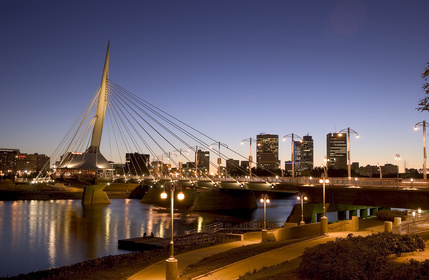 The province of Manitoba is temporary accepting applications for those who are interested to explore the province with an intention for further immigration. An exploratory visit is a pre-arranged trip that potential MPNP applicants may make to the Province of Manitoba, Canada to research communities and employment opportunities to help them make an informed decision on whether they have the intention and ability to find employment and settle with their family in Manitoba as permanent residents. We expect that this program will not last more than 2-3 weeks. 5) Taken IELTS General test no more than 2 years ago with a minimum score of 5.0 in each category. As soon as the candidate is selected by the province for the exploratory visit, our full fee is 5,000 USD per family, which will cover Canadian visa application documents, Manitoba PNP complete package preparation and a set of documents to be submitted to the Canadian Federal Immigration Authority.